Hi, everybody. 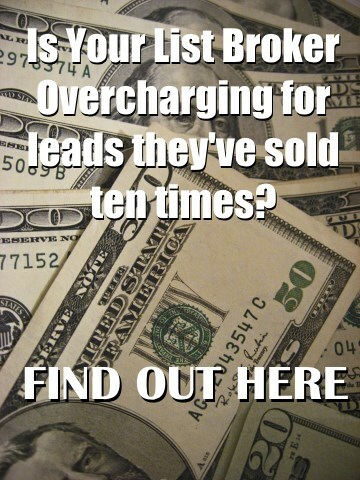 Welcome to accreditedinvestorleads.com, and yes, we do sell precious-metal leads. What are precious metal leads? A precious-metal lead? A precious metal is gold, silver, platinum, you know. And they’ve pretty much been sitting idle. I mean I love silver, and I’ve sold gold, silver and platinum my whole life, and I’ve got a bit a bit in my safe, and I really believe in ‘em. I mean I really believe in this thing where the currency one day will fall apart and, you know, we’ll cut a little chip of gold to fill up our gas tank. I hope it never gets to that, but I ain’t no fool. I be accumulating. But the bottom line is, you know, precious metals, and precious metal leads are people that are interested in precious metals. Well I take it a step further. I only buy and sell you previous buyers. So they’re all clients. And they either bought an IRA for gold, silver and platinum or they bought numismatic coins, or they bought bullion. So, we’ve got 50,000 of ‘em. I would say…maybe 40% are IRA buyers and 60% of ‘em numismatic coin buyers. In some cases, we have date stamps and time stamps. In some cases, we can show what coins they actually bought. They’re hard to get a hold of. They’re not existing firms. One of ‘em may be a guy that’s desperate for money and sold his client list, but we don’t peddle in any of that stuff where the company is up-and-going and the FedEx’s are being stolen or stuff is being snuck out of the back room. We don’t play that. We don’t want that. If I sell you that kind of lead, they come knocking on your door, and then they come knocking on me door. And you know, if you like to take those kinds of risks, I’m getting too old to take any kind of risk like that. My stuff is stuff where the guy went out of business and it’s over and done with. So, if you’re looking for sumn good that buys precious metals, at a dollar apiece with a thousand dollar minimum—if we do big quantity, I’ll give you a much better price, especially if you call me close to payroll; think about that. If you have any questions, call me: 561-981-8777. Thank you for your time, and God bless.